Local area director Tim Roberts says a geo technical assessment is currently in progress. He hopes the highway will reopen Saturday afternoon. 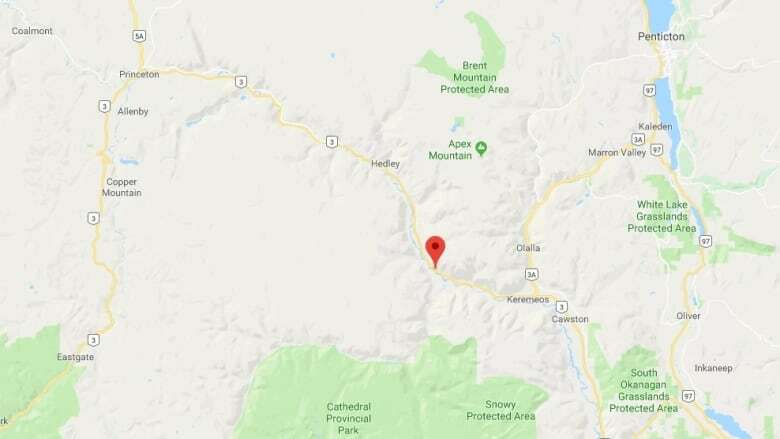 Highway 3 has reopened in both directions after a rock slide on Friday night shut it down near Keremeos, between Princeton and Osoyoos in British Columbia's southern Interior. Area G director Tim Roberts said geotechnical engineers with the Ministry of Transportation and Infrastructure were assessing the stability of the slope above the highway. The slide consisted mainly of large boulders, he said, which are faster to clear than large piles of smaller debris like the slide in February at Highway 97, which was closed for a month. Roberts added that, luckily, no person was injured and no vehicles were damaged during the slide. However, a few local residents were stranded trying to return home. Roberts said they were provided with temporary shelter in the form of motel rooms for the night.